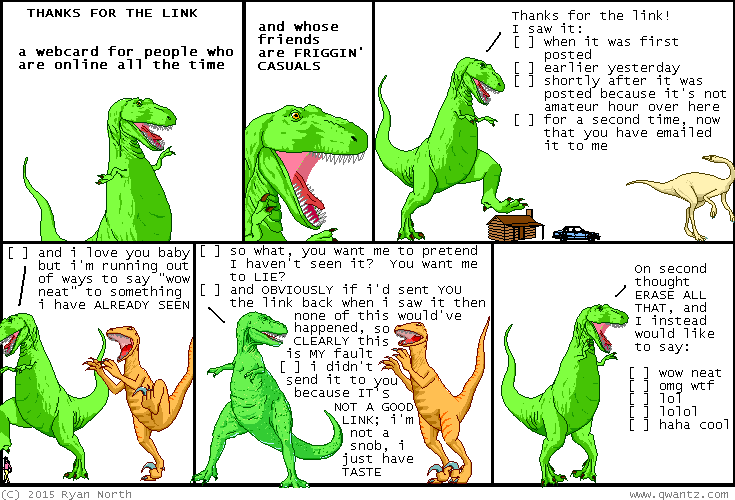 Dinosaur Comics - July 22nd, 2015 - awesome fun times! July 22nd, 2015: Happy pi approximation day! Hey, this is unrelated to that, but did you see my NINE shirt designs available for two weeks only? HOPEFULLY YOU DID?? One year ago today: Brussels tried to blame it on him being a "bad guy", but Angola quickly dismissed that argument, insisting that Brussels is more than whatever labels he's allowed to be applied to himself.